When you are arrested for DUI, there are two separate cases that are normally filed. The civil case is filed with the Washington State Department of Licensing. The criminal case is filed in the jurisdiction where the arrest occurred. For example, if a Sheriff or WA State Trooper arrested you in Pierce County, your case will be in Pierce County District Court. If a Puyallup police officer arrested you, your case will be in Puyallup Municipal Court. You are entitled to an administrative hearing before the Department of Licensing to dispute any driver's license revocation. This is the only opportunity to dispute the mandatory license suspension that occurs after a DUI arrest. The arresting police officer should have given you a Hearing Request form. This form must be returned with all required information to the Department of Licensing within 7 calendar days of your arrest, or there will be an automatic driver's license suspension. If it is not requested within this time frame, your right to an administrative hearing is waived and your license will suspend 60 days after your arrest date (you may still drive within this time frame). At the Department of Licensing Hearing, your DUI attorney will present a case for why your driver’s license should not be suspended. A Hearing Officer will then decide whether or not to uphold your license suspension. This decision only relates to the status of your driver’s license and does not affect the criminal DUI case. Since this is a civil hearing, your attorney can represent you with or without your presence. At your license suspension hearing, Cristine Beckwith will do everything in her power to find defenses and save your driving privileges. In the DUI criminal case, you are required to appear at every hearing, or a warrant will be issued for your arrest. The arresting police officer may have given you a mandatory court date. However, it is more likely that you will be summonsed to appear by the court that has jurisdiction over your case. 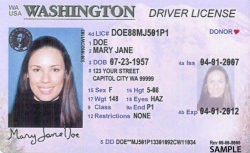 It is important that your address is current with the Washington State Department of Licensing. The address on file is used for address checks prior to issuing any arrest warrants. If your case is in a jurisdiction where Cristine practices law (King County, Pierce County, Thurston County) she will look up the future court date for you. Cristine Beckwith is a well respected DUI lawyer in courts that include Puyallup, Seattle, Tacoma, Olympia, and Auburn, WA. Her experience and creativity can create an important advantage in your case.